On The Path: It must be true, I saw it on Facebook. The Adrian Peterson Addition. It must be true, I saw it on Facebook. The Adrian Peterson Addition. This week the two year old son of Minnesota Vikings star running back Adrian Peterson was beaten to death by the mother’s boyfriend. This is an unbelievably sad deal. No matter who is involved, a two year being killed in such a way is heartbreaking. The past few days I've seen many friends on Facebook re-post pictures and change their profile pictures. Some Packer fans changed their profile pic to the Green Bay logo, but in Vikings colors. I thought that one was pretty cool. At first, like many, I was touched by it. Then I started reading the news stories and found out that is not the child that was killed. 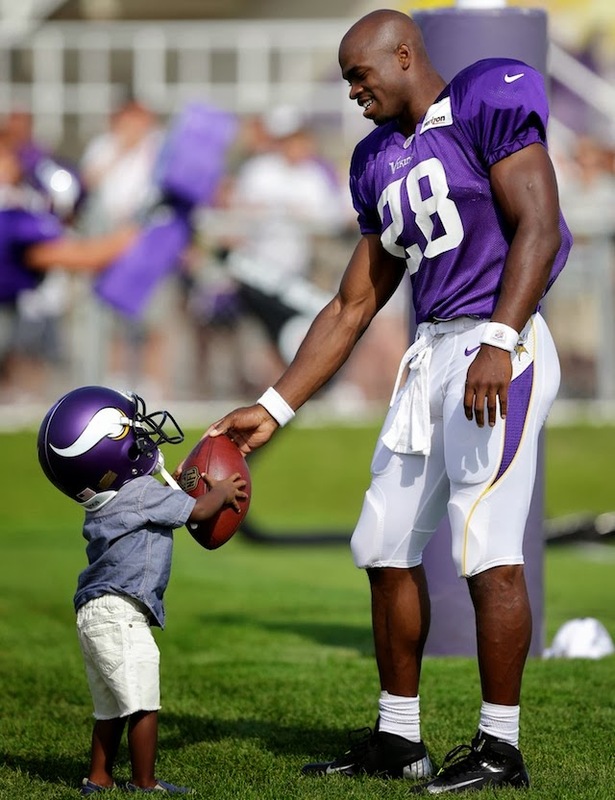 In fact, Adrian Peterson has been pleading for people to stop posting the photo. But of course, the masses are too stupid to do that. They see something posted on Facebook and take it as undeniable fact without checking the source or confirming anything about it. It must be true, it’s all over Facebook. I've even seen posts were stupid people photo shops little angel wings on the kid in the above photo and asked people to share it and change their profile image to that picture. Sadly, idiots have done this. This is just another example of the decline of mankind. We are too lazy to find out actual facts. We see a graphic or meme on Facebook that is funny or agreeable to our views on something, and we accept it as fact without question. For every social or political view or cause there are countless examples of this floating on Facebook that are complete BS, but people take it as fact. Unless of course, if they disagree with it. Then and only then is it internet BS. But if they like, it must be true. It’s on Facebook after all.